Our recent development of custom made products such as Solar Energy systems, Solar Energy street lights and Solar Air conditioners has given tremendous turnover last couple of years. Our solar energy systems are getting very popular in the global market and have received enormous recognition for its simplicity and efficiency. Our latest expansion into India proves to be a platform that is very promising especially in the field of electrical and solar energy system divisions. We specialize in the custom manufacturing of solar home systems that are portable, rechargeable and energy efficient. To ensure that our customers are getting the highest quality and grade of products our quality assurance team and our R&D (Research and development) department rigorously tests the quality of the products to ensure that it's meeting industry standards. All our solar panels are CE, ISO, TUV, EIC & UL Certified. The Canstar General solar generator system is perfectly designed for home use. It is portable, rechargeable and energy efficient. It can be used to run your lighting, television, ceiling fans, air conditioners, computers, printers, refrigerators, microwaves, washing machines and other home appliances. Regardless of weather conditions it provides up to 72 hours of energy usage. After this period it requires an external power source to maintain its performance capacity. 1.Solar System operating cost is low, almost no maintenance, no spare parts, no additional fuel. 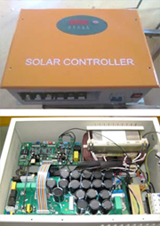 2.Solar System equipment can be run automatically, suitable for use in unattended stations. 3.Solar System does not contain any moving parts; the system can work continuously more than twenty years. 4.Solar System has good modularity, can be customized according to the specific needs of the load current & future expansion. 5.Solar System has a very stable DC output voltage. 6.Solar System installation doesn't need power or road access, it's very easy to be installed in the off-grid area. Solar power systems use the rays of the sun to harness energy and convert that energy into power. First, the sunlight hits a Photovoltaic (PV) grid. The PV grid is filled with solar panels that are created to capture the sunlight. The panels consist of a crystallized material that beams the sunlight through. The electrons from the sunlight are sent through positive and negative fields and reach a metal plate. The metal plate gets charged from the reaction between the positive and negative plate and creates power. The power from those panels is sent through wires. 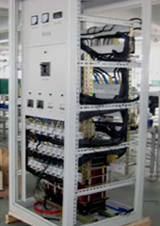 The panels are typically connected to the roof of a house for a personal system or a large flat field for a larger system used to power multiple buildings. The electricity runs through the wires and is either sent to a battery pack, power grid or an inverter. 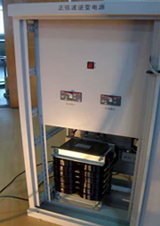 A battery pack is used in personal solar power storage stations. This enables homes to have power during times when the sun is not available, like at night or during bad weather and during power outage. When the batteries are completely filled, the house could run on them for up to 72 hours and more in some cases. An inverter is needed to change the electricity from DC to AC. AC power is used to run everything in your home and without the inverter; your home would have no use for the DC electricity that is rendered. The inverter is typically installed in the lowest level of your house along with the battery storage. Power systems have over a 20-year life period; they are highly efficient, reliable and require minimal maintenance. Certification: Our Solar Panels are CE, ISO, TUV, EIC & UL certified. Solar Power Systems includes. Solar Panels. Solar Controller, Pure Sine Wave Inverter Plus AC back up charger and cables for panel. System without battery as these may be better to purchase locally, since the battery is very bulky and weight for transport. We can supply batteries upon request. The beauty of our system is you can upgrade if and when you need to increase your energy needs. 1.Warranty: 5 years for the total system excluding battery's. Solar Panels 25 years, 80% performance. 2.Order Payment:50% when order is placed, balance of 50% when order is ready to and clean on board Copy Bill of Lading is received. 3.Delivery lead time: 7/10 working days after receipt of first payment. 5.Sample Order is available for evaluation purpose. BOX cost extra. Sample payment is T/T in advance. 1. All Systems have LCD digital display which allows you to see the system working, (eg) Charge data,System voltage, Daily power consumption and temperature. 2. 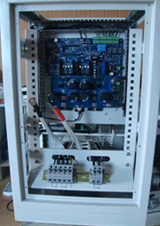 All type of CPS system both has AC and DC output. Also have AC back up charger function. 3. All system have automatic switch , If mains power goes off the system will switch automatically over to battery power,When mains power resumes the system will switch back automatically. The battery's will resume recharging automatically. 4. All inverters are Pure Sine Wave inverters. This allows the use of Air Conditioners and refrigerators without any problem. This protects the system from Overloads, Low Voltage and Under Voltage (alarm) Over Heating, Short circuit, Reverse Polarity. 6. Your system can be updated very easily. Just by adding extra components your system will increase power capacity. 7. Battery optional, you can purchase from us or locally. 8. Simple to install, just follow installation instructions. 9. Our System offers Cutting Edge Technology, State of the Art Quality with Greater Functionality than our competitors, at Competitive prices. Residential, Commercial, Industrial, Electric vehicle charging station, Pump system, Monitoring system, Communication base station, island power system.